The crowd is really into it tonight, yelping and squealing along with Plant during I Can't Quit You Baby. Plant's vocal riffs are excellent. As Long as I Have You has a great wah-wah intro by Page. He also introduces a new haunting riff during the Fresh Garbage section. The bow solo in Dazed and Confused is met with cheers and applause. Plant's introduction of the band at the beginning of How Many More Times prompts a shout of "who are you?" from an audience member after Plant fails to introduce himself, instead simply saying "and I do the singing." Page's masterful fingerwork is on display during the solo, including a duel with Plant that pushes the singer into the highest reaches of his range just before a cut in the tape. The Hunter section includes lyrics to The Riddle Song, followed by an almost tribal-sounding chant during the "got you in the sights..." section. Page loses himself a couple times during White Summer/Black Mountain Side, playing a bit slower and more cautiously than usual as a result. Plant's improvisation in Killing Floor livens up what starts off as a somewhat subdued rendition, eventually adopting a delta blues drawl. The end of You Shook Me has Plant hitting notes only dogs can hear. Page starts the show in good form, losing steam in the second half of the set, but Plant steps up and becomes the star of the show. The tape is a bit muffled with some hiss, but clear enough to be enjoyable. Page and Plant are up front with the drums less discernible than on previous recordings. The sound degrades during Pat's Delight, becoming more distorted and muffled with a lot of boomy low-end for the remainder of the show, clearing up a bit for For Your Love. This appears to be two sets, version I have is 1:35:01 in length. First set starts with The Train Kept A Rollin' and goes thru How Many More Times. Sound is a bit thin, but can hear everyone clearly. Can hear a few people in the crowd a lot clearer than the band members, so mic positioning was probably not the best. Some tape cuts here and there, but mostly between songs. 2nd Set is a bit better sound quality. Listened on the computer speakers again while working. Master>Cass>Cass. I really like this concert. Wish they would of played "For Your Love" more often in 69. 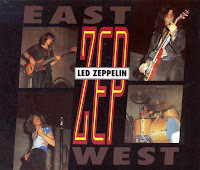 Until 1/5/69 came out this was the definitive version of Zeppelin doing the old Yardbirds number. Also check out the dadgad productions version and the Zep Digital edition. Guy, i love this show! The For Your Love version is amazing, Babe I'm Gonna Leave You, the first performance of Communication Breakdown, Train Kept A Rollin, How Many More Times...excelent gig! This one should be a must hear!